Methacton High School Field Hockey has been dedicated to advocating and fundraising for cancer research since 2014. 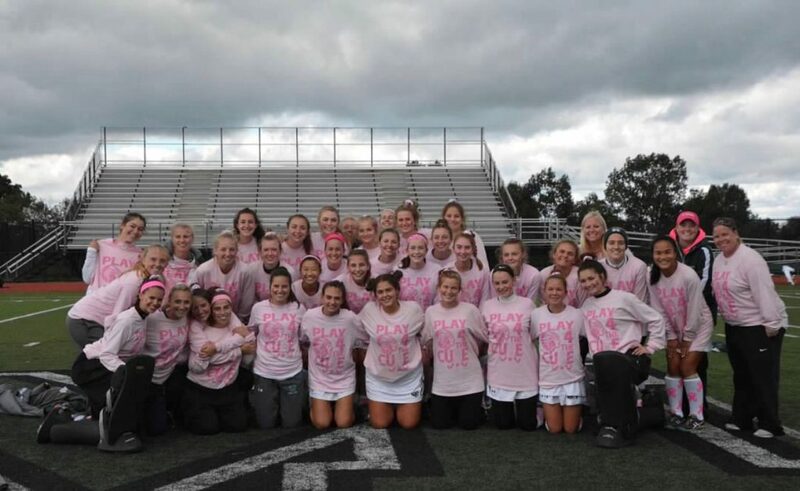 Although the National Foundation for Cancer Research is committed to supporting all cancers, Methacton High School Field Hockey chooses to support breast cancer research to celebrate Coach Casey Leap’s journey. Leap is the team’s goalkeeper coach and is a breast cancer survivor. Since Coach Leap inspired the Play4TheCure tradition in 2014, it has become custom for goalkeepers to manage the one predesignated Play4TheCure game per season. Sammi Steele started the trend in 2014, followed by Sarah Park in 2015 and Molly’s older sister, Addie, in 2016. 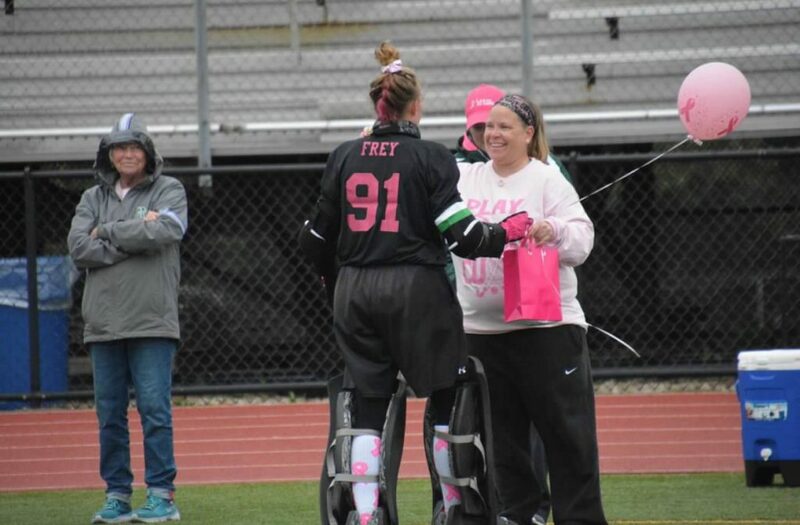 Eventually, Molly was given the privilege of managing Methacton High School’s Field Hockey’s Play4TheCure event in Fall 2018. Methacton High School Field Hockey fundraises using a combination of online and offline methods. Every year, the team creates a Crowdrise page, allowing student-athletes to ask family members and friends for donations in the weeks before and after the game. Their primary offline fundraising method is their annual bake sale. Players volunteer to bake and bring various treats to sell at the match. This year, the bake sale raised $600. Varsity goalkeepers also have the freedom to explore other fundraising methods. When Molly’s sister was in charge of their Play4TheCure event, she promoted the sale of $1 pink balloons that were used to honor family and friends affected by cancer. “We wrote the names of family members and friends who are fighting or fought the battle with cancer, then we set them free,” Molly recalls. In Fall 2018, Molly established a “dress in pink day” at the school, encouraging teachers to donate money and wear pink. Since 2014, Methacton High School Field Hockey has raised more money every year. The money they raised in Fall 2018 was boosted by Merck Foundation Partnership, who matched donations up to $761. 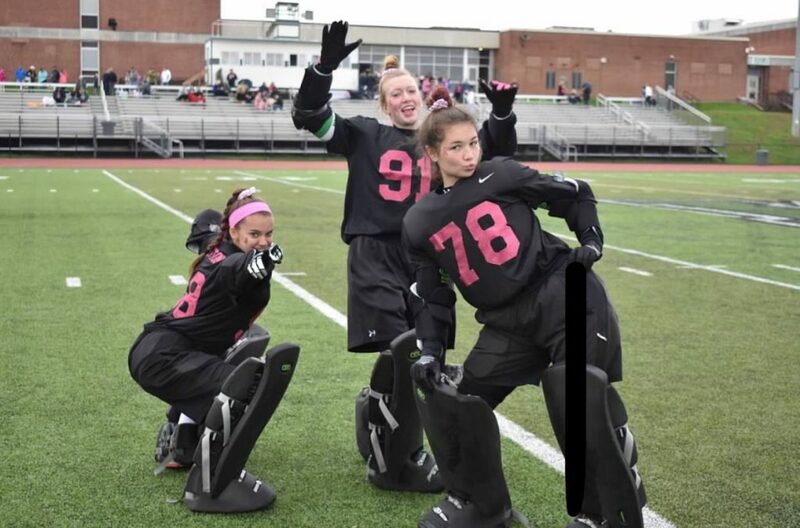 Molly Frey is a senior and the Fall 2018 varsity goalkeeper for Methacton High School Field Hockey. 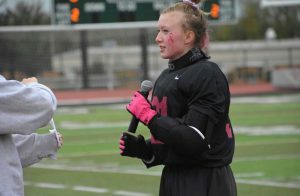 Molly participated in Play4TheCure at Methacton High School for four years. After graduation, she will attend Temple University to continue her field hockey career. Her sister, Addie Frey, is currently the field hockey goalkeeper at Ursinus College. These Ladies are the most fabulous Warriors! Lucky to work in a building with such dedicated Students and Athletes. You go Lady Warriors! And thank you!